Johnny Angel and the Halos, Pittsburgh’s Most Prolific Band, is legendary throughout the region. The Halos have been performing in and around the Pittsburgh area for over 50 years, having performed with The Temptations, the 4 Tops, James Brown, The Crystal Blue Band (Original Shondells), Lou Christie, Mary Wilson, and Chuck Berry just to name a few. 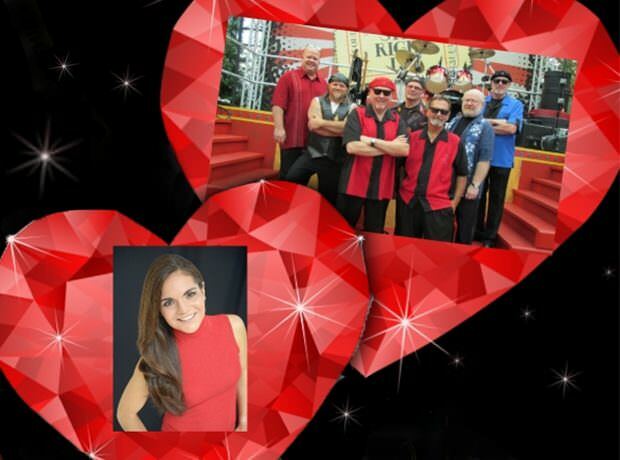 This Valentine’s show will make you fall in love with Oldies music again as they play the greatest songs of the decades. Special Guest Star MARY ANN MANGINI has thrilled audiences throughout the area with her high powered and lush voice. Purchase tickets online or call Brown Paper Tickets at (800) 838-3006 or email samare524@gmail.com.